The ACFE Fraud Conference Middle East provides a unique opportunity for media to access the top anti-fraud minds in the region. There will be a limited number of media credentials available for this year’s event – RSVP and registration are required for access to this event. 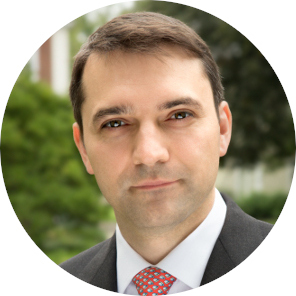 Eugene Soltes is the Jakurski Family Associate Professor of Business Administration at Harvard Business School where his research focuses on how individuals and organisations confront and overcome challenging situations. He teaches in several of the school’s executive education programs and was awarded the Charles M. Williams Award for outstanding teaching in 2015. Soltes’ work on corporate misconduct and fraud culminated in the book Why They Do It: Inside the Mind of the White-Collar Criminal, which was described by Kirkus Reviews as “a groundbreaking study” on white-collar criminality. The book explores why often wealthy and successful executives engage in deception. The investigation draws on more than seven years of interaction with nearly 50 of the most high-profile former executives responsible for the most significant corporate crimes. The book refutes popular explanations of why seemingly successful executives engage in fraud and instead shows that most executives make decisions the way we all do—on the basis of intuitions and gut feelings. The trouble, Soltes shows, is that these gut feelings are often poorly suited for the modern business world and often lead to the harmful acts that we so often read about in the news. At the organisational level, Soltes examines how firms voluntarily disclose information to investors, employees, regulators and the media. This research has been published in leading finance, accounting and economics journals and resulted in numerous awards including the Hillcrest Behavioral Finance Award, California Corporate Finance Conference, and the Financial Research Association Best Paper Award. Hubbs currently sits on the ACFE's Board of Regents. 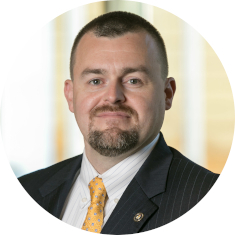 He is also a member of the ACFE Faculty where he co-presents the CFE Exam Review Course, as well as specialized training such as Interviewing Techniques for Auditors, Auditing for Internal Fraud, Contract and Procurement Fraud, Detecting Fraud Through Vendor Audits, Principles of Fraud Examination and Conducting Internal Investigations. Hubbs co-wrote the guidance to the ACFE Standards and developed the ACFE Chapter Leaders Resource Guide. He has served ten years as an ACFE Chapter President and officer for both the New Orleans and Houston ACFE Chapters. In his role as President of the Houston ACFE Chapter he helped guide the chapter to be recognized as the ACFE’s 2014 Chapter of the Year and the recipient of the ACFE’s 2015 Chapter Newsletter of the Year. Hubbs’ continued involvement and contributions in the anti-fraud profession resulted in him being awarded the Greater Houston Fraud Impact Award in 2014. 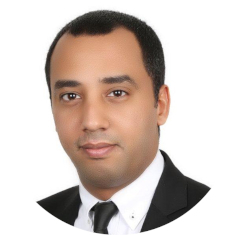 Abdallah Alomari has 6 years of experience in enhanced due diligence, know your customer (KYC) programs, and compliance and open source investigations in the Middle East and Africa. He also has 3 years of experience in computer biometric applications for security and identity verification purposes. He currently works as KYC specialist at Credit Agricole Bank in Singapore. He is the founder and general manager of KYC Jordan, a compliance media platform. Alomari is also a member of the ACFE advisory council, and treasurer of ACFE – Jordan Chapter. Before joining Credit Agricole, Alomari worked as an enhanced due diligence researcher at Thomson Reuters, manager of professional services at the Red Flag Group, EDD researcher at Steele Compliance Solutions and research assistant at University Putra Malaysia. Alomari holds a bachelor’s degree in information technology from the University of Jordan and a master’s degree in geographical information systems from University Putra Malaysia. He is a Certified Fraud Examiner (CFE), Certified Anti-Money Laundering Specialist (CAMS), Certified Associate in Project Management (CAPM), and Governance, Risk and Compliance Professional (GRCP). 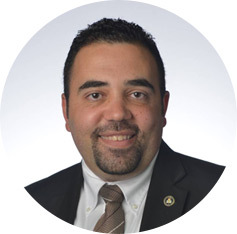 Amir Mousa has more than 15 years of experience specializing in audit, risk management, compliance and fraud investigation, having worked across multiple industries in the Middle East. He is a Certified Internal Auditor, Certified Risk Management Assurance and holds a bachelor’s degree in accounting. 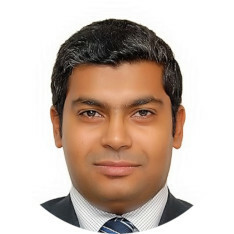 Currently, he is internal audit section head at Al Ain Holding Group in Abu Dhabi, UAE. Before this, he was with EY in an advisory risk function. He has participated in risk assessment exercises involving the identification of critical risks and development of internal audit plans in different industries, including hospitality, manufacturing and banking. Anita Barker provides clients with advice and analysis on the reputational risks associated with doing business in the Middle East. She has almost 20 years of professional experience, 13 of which were spent in the Middle East region, and currently consults on anti-bribery and corruption compliance and provides investigative support on internal and regulatory investigations. Barker's expertise includes financial accounting and auditing, compliance reviews, corruption risk assessments and investigations into matters such as conflicts of interest, financial manipulation, misconduct and breaches of the Foreign Corrupt Practices Act and U.K. Bribery Act. She also provides bespoke compliance training to clients. Before joining Control Risks, Barker worked for PricewaterhouseCoopers (PwC) in the Middle East and the U.K. for more than 12 years, providing a range of financial accounting, auditing and forensic services to clients across Europe and the Middle East. She is a U.K.-trained Chartered Accountant (Fellow) and holds a BA in French and Spanish. Ghazanfar Shah is a senior director with Alvarez & Marsal’s Disputes & Investigations practice in Dubai. 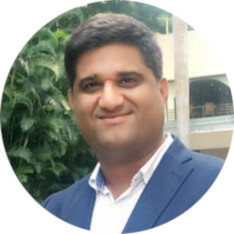 Shah is an experienced fraud investigator and forensic accountant who has assisted clients with forensic accounting investigations, financial and forensic reviews, asset tracing and recovery, and dispute engagements. 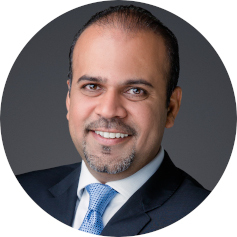 With more than 17 years of forensic experience, Shah has been instrumental in assisting his clients navigate complex fraud investigations across multi-jurisdictional waters and has led numerous high profile fraud and anti-bribery investigations spanning the globe including the Middle East, Africa, Asia and the United States. Government entities and multinational companies routinely ask Shah investigate allegations of fraud by their subsidiaries, partners and their distributor/agents. Shah graduated from Oklahoma State University with a master's in accounting with an emphasis in finance. He is a Certified Public Accountant (CPA) licensed in the state of Colorado. Shah is also a Certified Fraud Examiner (CFE), a Fellow Chartered Certified Accountant (FCCA) from the U.K., and a Certified Anti-Money Laundering Specialist (CAMS). He is fluent in English and Urdu and has a working knowledge of Hindi and Punjabi. Hassan Metwally is a global compliance auditor at Bio-Rad Laboratories. He conducts global compliance audits to evaluate compliance programs of Bio-Rad’s third-party and channel partners. Metwally has more than 12 years of experience in the audit and accounting field. Prior to joining Bio-Rad Laboratories, Metwally was a senior consultant at Protiviti and worked as an external auditor at KPMG. He has participated in many financial, operational and compliance audit engagements, as well as ERM that includes risk assessments and internal control assessments. Iyad Mourtada is an international speaker, trainer and author with a diverse background in internal auditing, risk management and fraud examination. Over the last decade, he has taught various unique auditing and fraud-related courses to multinational corporations and government entities globally. 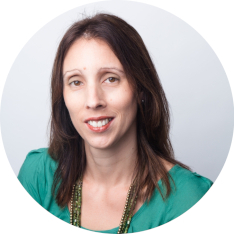 Mourtada uses modern psychology theories related to fraud combined with innovative, interactive and creative teaching methods to add value to the learning process of more than 10,000 professionals globally. He is the General Manager of OpenThinking, a leading business training company in Dubai and an authorized trainer with the ACFE to teach the CFE Exam Review Course in the UAE. He is the author of several internal audit and anti-fraud books and frequent speaker in many international conferences for IIA, IMA and ACFE. 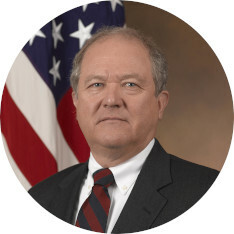 John F. Sopko was sworn in as Special Inspector General for Afghanistan Reconstruction on July 2, 2012. Sopko, appointed to the post by U.S. President Barack Obama, has more than 30 years of experience in oversight and investigations as a prosecutor, congressional counsel and senior federal government advisor. Sopko came to SIGAR from Akin Gump Strauss Hauer & Feld LLP, an international law firm headquartered in Washington, D.C., where he had been a partner since 2009. Sopko’s government experience includes over 20 years on Capitol Hill, where he held key positions in both the Senate and House of Representatives. He served on the staffs of the House Committee on Energy and Commerce, the Select Committee on Homeland Security and the Senate Permanent Subcommittee on Investigations. In his most recent congressional post, Sopko was Chief Counsel for Oversight and Investigations for the House Committee on Energy and Commerce. There, he supervised several investigations focused on matters regulated by the Food and Drug Administration, Department of Energy, Department of Commerce, Federal Communications Commission, Federal Energy Regulatory Commission, U.S. Commodity Futures Trading Commission and Consumer Product Safety Commission. Sopko also served as General Counsel and Chief Oversight Counsel for the House Select Committee on Homeland Security, where he focused on homeland security and counter-terrorism investigations and issues. Muneer Mughairy has 15 years of experience in internal audit, risk management and corporate governance related to oil and gas, financial services and investment sectors. 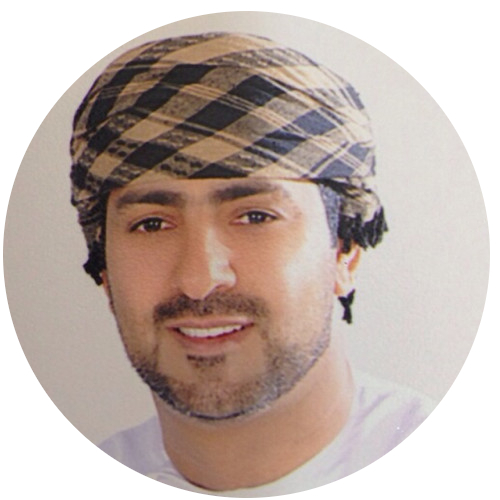 Currently, he is the Chief Internal Auditor of Oman Investment and Development Company (OMINVEST). He is also president of Institute of Internal Auditors, Oman chapter and sits on the advisory board at the department of accounting at Sultan Qaboos University. 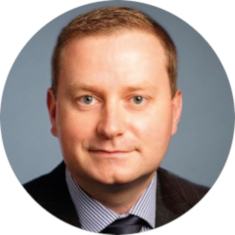 Nicholas Cameron is a partner and the head of forensic services at KPMG Lower Gulf and is based in Dubai. Cameron has specialised in forensic accountancy for more 16 years, providing expert services to clients across the globe. He focuses on serious and complex white-collar crime, regulatory compliance investigations, litigation support and expert witness services, with a particular interest in fraud, corruption, and sanctions compliance and disputes with third-party distributors and agents for multinational life sciences and FMCG clients. Cameron is a former principal investigator and expert accountant with the U.K.’s Serious Fraud Office where he led financial investigation teams in complex multi-jurisdictional cases. Appointed as the Crown’s expert accountant in a number of serious criminal fraud proceedings, Cameron has given written and oral evidence before U.K. courts as an expert and as a witness of fact, successfully withstanding over 11 days of cross-examination by a total of six Queen’s Counsels. Richard Trainer is a litigator at London law firm Mishcon de Reya LLP. He is a solicitor-advocate with rights of audience before all civil courts in England and Wales. Trainer specializes in obtaining and defending asset freezing, search and disclosure orders to protect his clients' interests. He also advises on cross-border asset-tracing and recovery strategy. Trainer is a Certified Fraud Examiner (CFE). He is on the Board of the ACFE's U.K. Chapter and leads training of the advanced financial transactions and fraud schemes course for prospective CFEs taking their professional examinations. If you have watched MTV’s Troll Police, then you would have seen Ritesh Bhatia playing himself as a cybercrime investigator. Bhatia, founder and director of V4WEB Cybersecurity, has investigated and solved complex cybercrime cases for corporations, government organisations, law enforcement agencies and individuals in India and abroad. His other areas of specialisation include cybersecurity implementation, IT audits, darknet research and investigations, and data privacy and protection. His views on trending cybercrimes and cybersecurity are sought and published by many media houses including Times of India, Indian Express, Hindustan Times and DNA. He has appeared on national television channels and radio stations such as CNBC, NDTV, Times Mirror Now, IndiaTV, Aaj Tak, Zee News, Radio City, Red FM, and Radio Mirchi to highlight the dangers in the cyberspace. 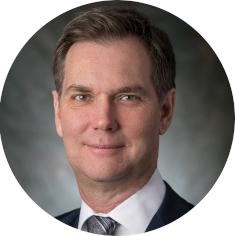 Dr. Stephen Hill is a Trustee Director of the Fraud Advisory Panel and chairs its Cybercrime Interest Group. Hill spent many years working for a top firm of chartered accountants heading the Fraud and Forensic Group, leading an expert body advising clients on prevention, detection and recovery of fraudulent assets, working closely with organisations in both the public and private sector. He has developed and delivered a series of counter fraud and investigation courses to clients both in the U.K. and overseas including the National Crime Agency, Charity Commission, CIFAS, police forces both in the U.K. and overseas and private sector corporations. With an appointment as a Volunteer to the City of London Police Economic Crime Directive, Hill assists fraud investigators with the aid of online investigation techniques and speaks at schools on the dangers of the internet in line with his role as a safeguarding and child protection governor at his local primary school. Dr. Hill sits on the ACFE U.K. Chapter committee and is an honourable member of the London Fraud Forum. With 25 years of experience, Teresa Anaya’s career has focused on accounting, information technology with the last 10 years in fraud, money laundering and terrorist financing investigations. Anaya draws her knowledge and experience from her work performing investigations for global financial institutions as well as investigations to determine reasons for bank failure for the FDIC in the aftermath of the financial crisis of 2008. Her area of expertise is in the financial institution vertical, specific to global Know Your Customer standards, transaction monitoring and suspicious activity reporting. 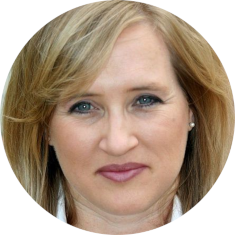 In addition to specific investigation experience, including cryptocurrency investigations, she’s experienced in developing requirements for the first line of defense against fraud and anti-money laundering systems utilized in financial institutions. Anaya is a Certified Fraud Examiner, Certified Anti-Money Laundering Specialist, ITIL 3 Certified and a Certified Bitcoin Professional. 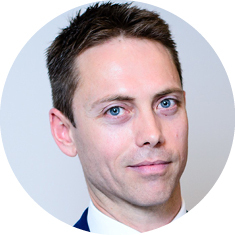 Nick Hourigan is a senior managing director at FTI Consulting and is based in London. He leads the Data and Analytics team in Europe, Middle East and Africa, and for more than 20 years has performed large-volume, transaction-based analytics for litigation and investigation matters. 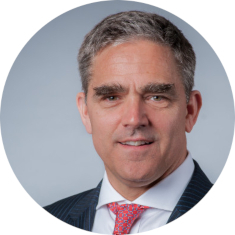 Hourigan is considered an expert in the financial services industry, and has managed complex global-scale projects with data record sets numbering to billions, originating from diverse sources that span traditional un-/structured boundaries. Hourigan’s focus is the elevation of subject matter expertise through advanced analytics. As such, his team’s constantly evolving skillsets cover all aspects from data identification through to final presentation, and occasionally beyond to incorporate sustainable solutions. On behalf of his clients, he has developed innovative technical solutions to financial markets and other investigative analyses that have been accepted by numerous regulatory authorities and the courts. He is an expert in leading advanced analytics, using algorithms and machine learning to support FTI Consulting’s investigations and other expert capabilities. 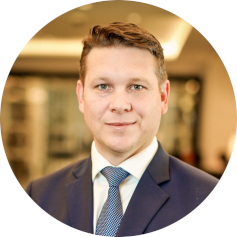 Henry Duggan is a managing director with FTI Consulting, leading the Financial Crime practice across the Gulf Cooperation Council (GCC) region. During the course of his career, he has led numerous specialist assignments covering sanctions investigations, terrorist finance, fraud/misconduct investigations, accounting irregularities, fraud risk management and AML. He has worked closely with data analytics, forensic technology and intelligence experts to develop advanced methodologies for the investigation of terrorist financing/sanctions breaches for submission to regulatory authorities and law enforcement agencies. In addition to his consulting experience, Duggan has had extensive exposure to the criminal justice and intelligence aspects of financial crime. Duggan previously held the rank of Senior Officer with the U.K. Serious Organised Crime Agency (SOCA) and was a specialist investigator with this organisation for approximately 8 years. While in this role, he had direct responsibility for conducting investigations into allegations of international fraud, money laundering and associated predicate offences. This gave him considerable experience of gathering intelligence and evidence in support of criminal prosecutions and civil confiscation/restraint proceedings.